13 indian rupee per kg with cover 65 indian rupee per kg without cover only fresh direct to field we are the first party. 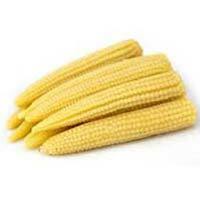 Buy the best quality Baby Corn at market leading prices, from us. We are amid the prominent Suppliers in the town. Located in Delhi(India), the company has carved a niche for itself in the market with its flawless range. 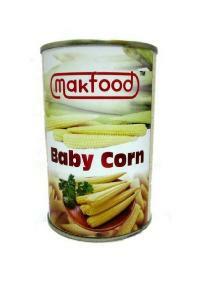 Our Baby Corn has a minimal moisture content and is available in a safe and hygienic canned packing. 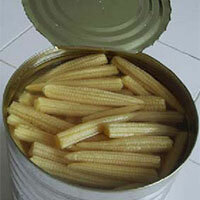 We are a well-known Manufacturer, Supplier and Exporter of Baby Corn . 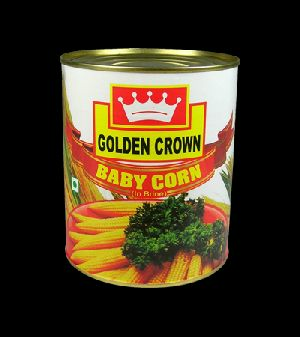 The variety of Baby Corn made available by us is manufactured using the best quality corn and is hence, quality assured. We offer Baby Corn at the best prices in the market. 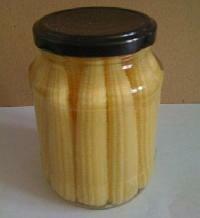 We offer Baby Corn that is packaged to avoid all kinds of discrepant elements and contamination. 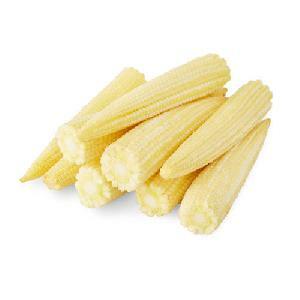 We supply frozen baby corn that is a favorite of chefs in preparing a variety of delectable cuisines. 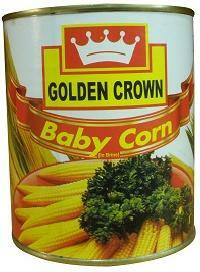 Golden Crown Baby Corn is a cereal grain taken from corn harvested early. It is typically eaten as whole–cob included, in contrast to mature corn, whose cob is too tough for human consumption. 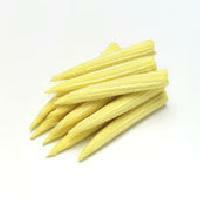 Usage Baby corn is used in preparation of Manchurian, baby corn soups etc. and widely used across many cuisines. We offer Fresh Baby Corn that is ready to be cooked. These are fresh, harvested a few hours right before dispatching for supply. Baby corns are used in a variety of cuisines all over the world and are a hot favourite, especially among vegetarians. They form integral parts of many dishes like soups, pizzas, gravy and many appetizers among the others. These can be customized according to your requirements. We are offering baby corn in brine. Baby corn in brine. FieldFresh Baby Corn is hand-picked and packed on the same day to ensure freshness, every time, with the right level of maturity for that right degree of sweetness and crunch !! The cobs are harvested just when the silken tassels start appearing, ensuring that the cobs are just right and ready-to-eat.